Magnificent Summer Scene Of Hintersee Lake. Colorful Morning View Of Austrian Alps, Salzburg-Umgebung District, Austria, Europe. Beauty Of Nature Concept Background. Fotos, Retratos, Imágenes Y Fotografía De Archivo Libres De Derecho. Image 116549585. Foto de archivo - Magnificent summer scene of Hintersee lake. Colorful morning view of Austrian Alps, Salzburg-Umgebung district, Austria, Europe. Beauty of nature concept background. 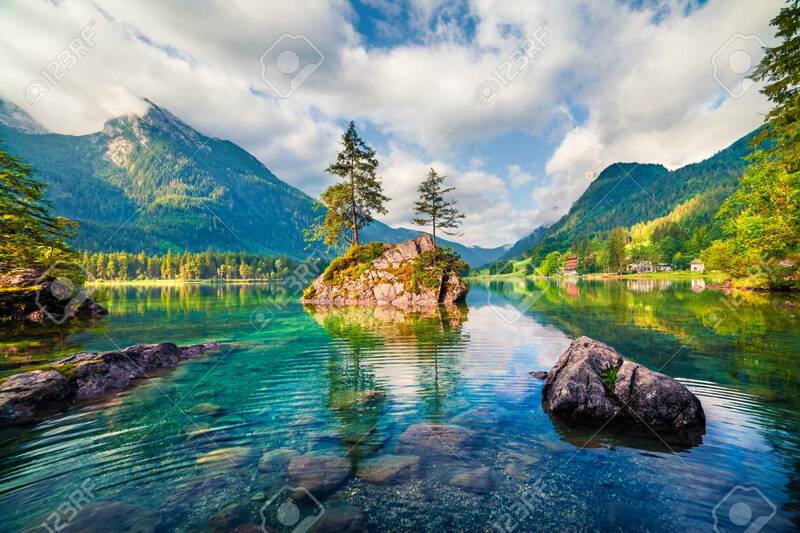 Magnificent summer scene of Hintersee lake. Colorful morning view of Austrian Alps, Salzburg-Umgebung district, Austria, Europe. Beauty of nature concept background.